First you need to get to chopping! 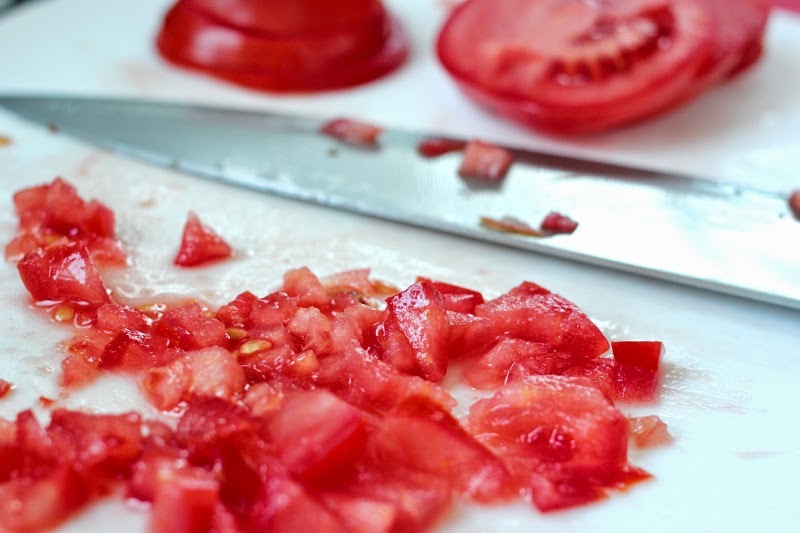 Chop up the tomatoes and the onions, the smaller the better. Add them to a big bowl Now you need to remove the seeds from the jalapeños before you chop those up as well. 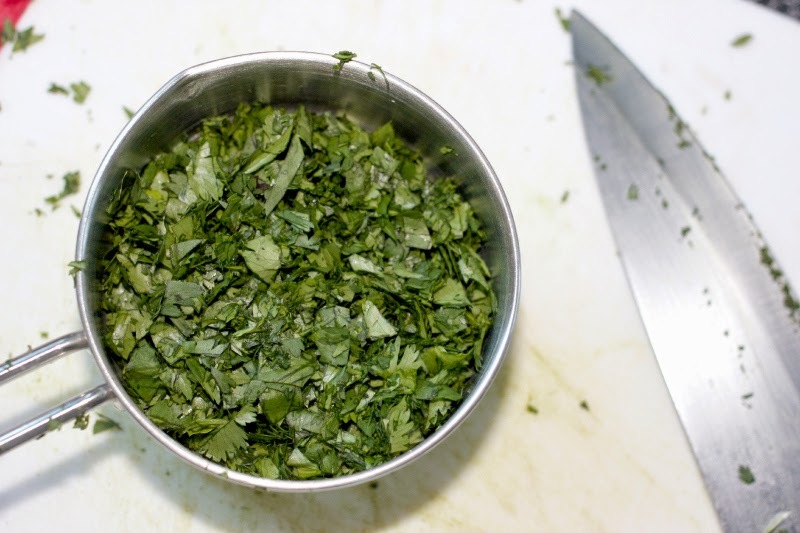 Chop up the cilantro as tiny as you can without going crazy. 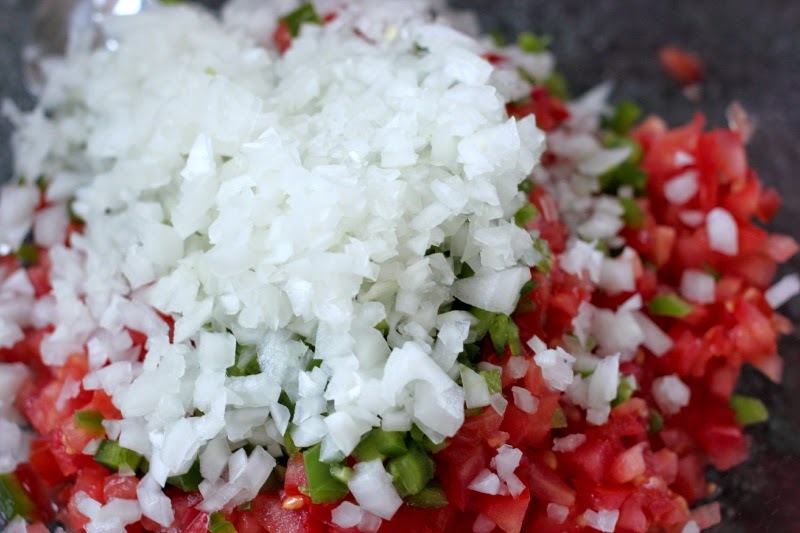 Continue with this chopping craze and chop up the garlic cloves before adding them to the bowl. 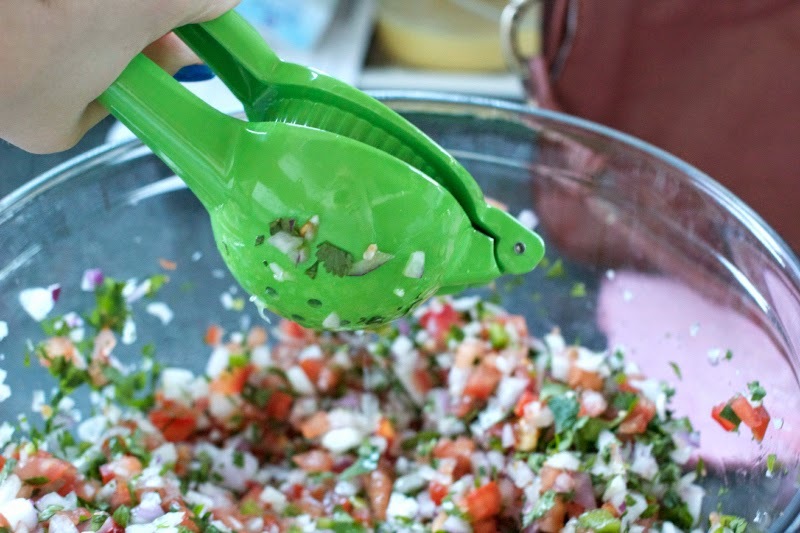 All thats left now is adding the cumin, chili powder and salt before squeezing your limes and adding their delicious juice to the bowl. 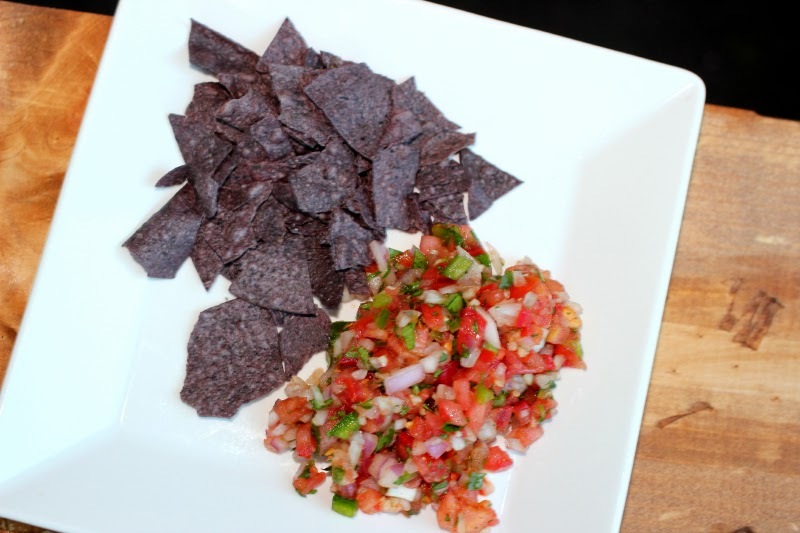 Mix it up and you've got homemade salsa! 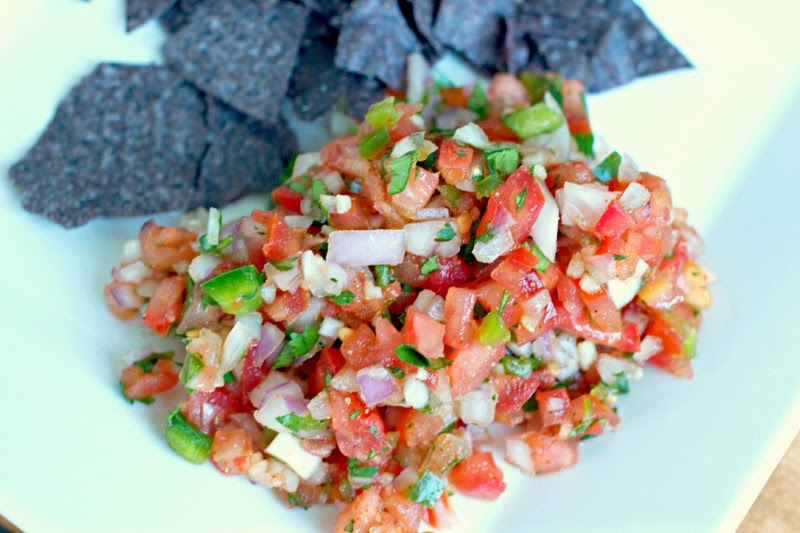 This salsa remind me a lot of Chipotle's pico de gallo and yields about three cups. 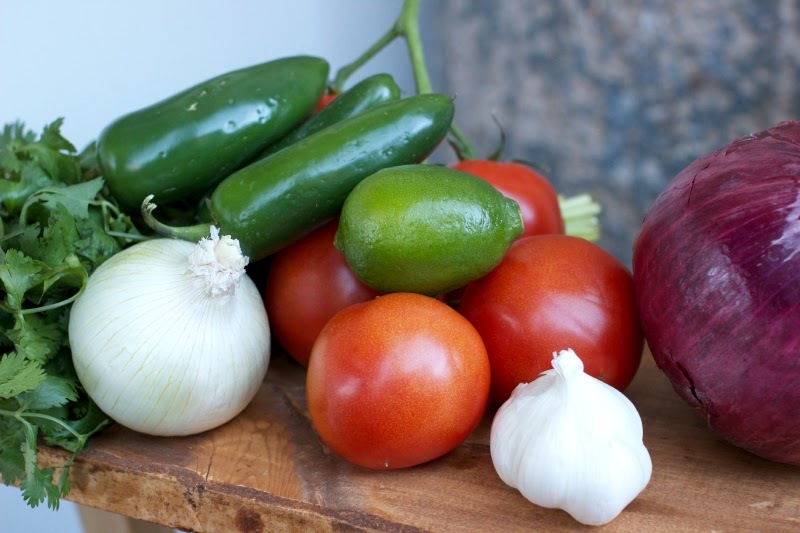 It will be great on chips or to use in cooking! Now grab a Margarita and enjoy after all your hard work! 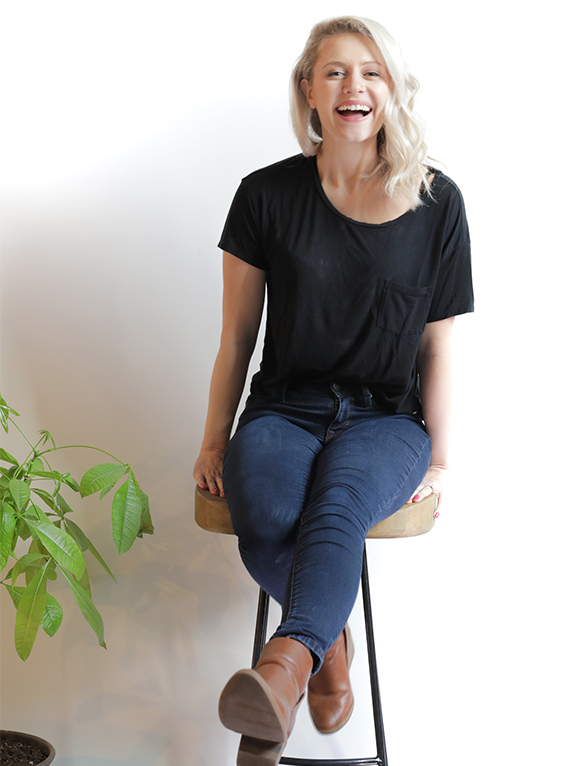 And don't forget to the enter the Spring for Coffee giveaway! Only four days left! Fashion Favorites from the Met Gala!